This webinar was co-sponsored with Grantmakers Concerned with Immigrants and Refugees (GCIR), and Philanthropy New York. 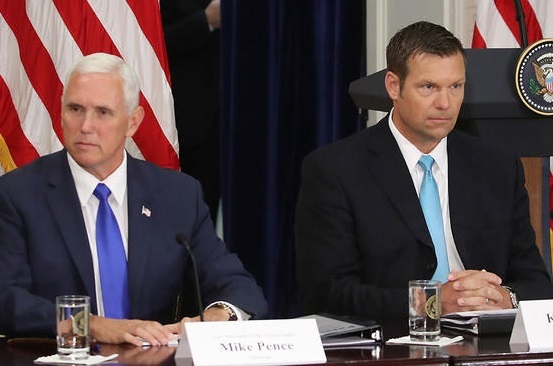 The Pence-Kobach Commission raises significant concerns that baseless allegations of millions of fraudulent votes in the 2016 election could be used to disenfranchise already marginalized communities and weaken the National Voter Registration Act. While not new, these claims have taken on a new level of urgency under the current administration. Without stating how the information would be used, this 15-member commission has already asked states to turn over voter-roll data and voter’s personal information such as felony convictions, military status and portions of Social Security numbers. To date, 45 states and the District of Columbia have declined or will curtail the data they will provide. However, grassroots and voting-rights advocates remain concerned about the Commission’s impact, especially in light of the number of steps already taken by the U.S. Department of Justice to undermine voting rights. What is the scope and potential impact of this Commission? How has the field been responding and what discussions around future strategies are taking place? What can philanthropy do to support an effective response to the commission? This funder discussion focused on this looming threat to voting rights in America. Currently, an expansive coalition exists among traditional civil and voting rights organizations and other groups such as Indivisible, Move On, and others to have a coordinated approach to countering the commission through strategic messaging, communications, advocacy and litigation. The public must understand the motivations of the commission, especially given the history of some of the members’ work to suppress the votes, particularly in minority communities.